The process of content marketing looks easy. Get an idea. Create some content. Wait for the business to come pouring in, right? Unfortunately, good content takes time. Lots of time. And if you’re just working on getting your business up and running, you may not have the time necessary to consistently come up with ideas that resonate well with your customers. Thought leaders in content marketing recommend at least two dedicated staff members for a content marketing operation. But the reality is that most startups, especially ecommerce businesses, operate with no staff until they show potential investors that the company can repay any funding it receives. So what’s a small company like yourself to do? Come up with one good idea. That’s all you need. If the one idea is challenging for you, here are 52 idea-starter for inspirations. Because one idea can easily become over ten different pieces of content that drives traffic to your website and dollars in your pockets. Read on to discover how to find the one idea that you can turn into multiple pieces of traffic-driving content. Hopefully by now you’ve already got some content of your own you’re proud of. If you do, it’s time to get into your analytics and do a little digging. Go to Google Analytics>Behavior>Site Content>Landing Pages. This will show you what content people are reading. The pages with the lowest bounce rate and highest average session duration are the highest performers. These are the big candidates for your big idea. For illustration purposes, let’s pretend that we’re a fashion ecommerce company and we’ve chosen “wardrobe staples” as our big idea. Don’t forget this, we’re going to refer back to it later. 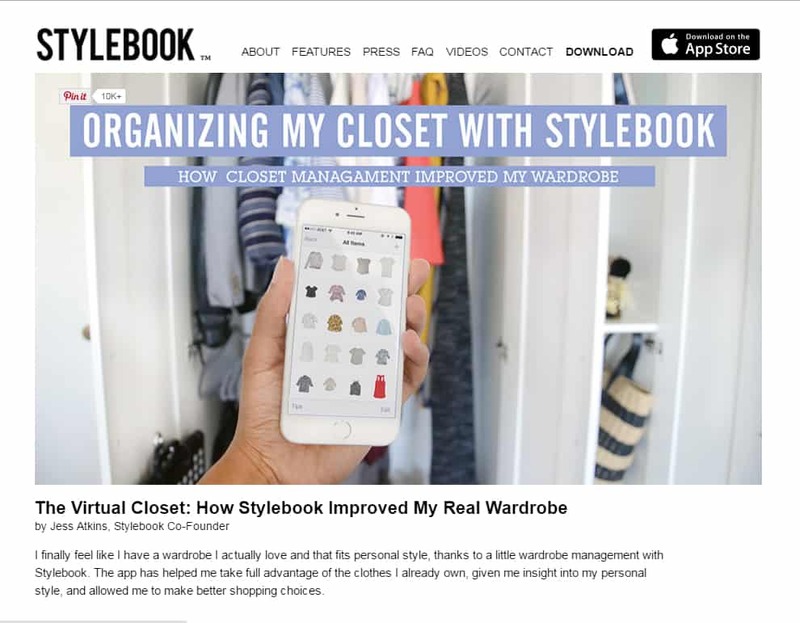 We chose the idea based on our two highest performing blog posts, which were about choosing pieces of clothing to build a wardrobe off of. 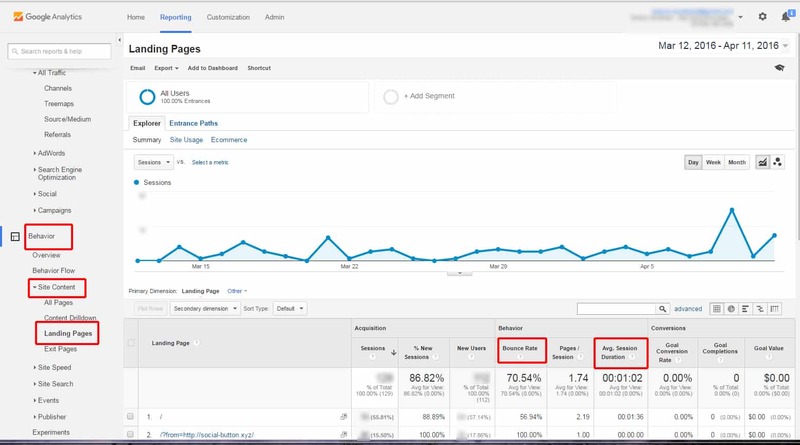 Our bounce rate for these articles were under 50% and average time per session was between 2-4 minutes. What kind of content can I turn my idea into? While all types of content work well, you’ll need to do some experimenting to see what works best for your customers. Fashion and shopping lend themselves very well to visual content. One of the greatest things about the internet is that you can go online and learn how to do anything. The how to article is a staple of all great content. The best how-to articles explain how to do something step-by-step. If possible, go through the process yourself and write down each step as you do it to avoid leaving anything out. Number the steps and use plenty of pictures or screenshots to increase the chances of your words being misunderstood. Search Google and YouTube to see what’s been done already. The top 10 results to give an idea of what’s performing well. 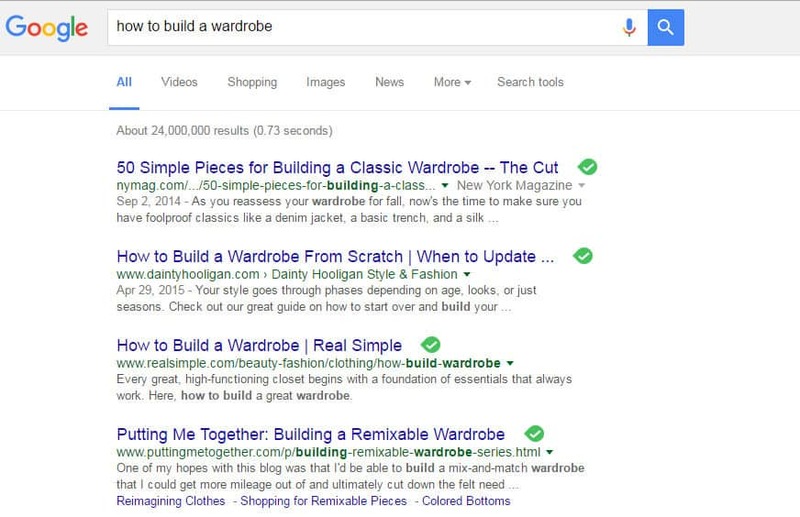 If you can build a better piece of content, you can reach the top of Google and attract more potential customers. These results are pretty easy to improve on. The first result is going on two years old and is a slideshow. While the photography and advice is great, not many readers will want to click through 50 slides to get the information they need. The second result is all on one page, but the quality of the content isn’t very relevant, though it’s written well. 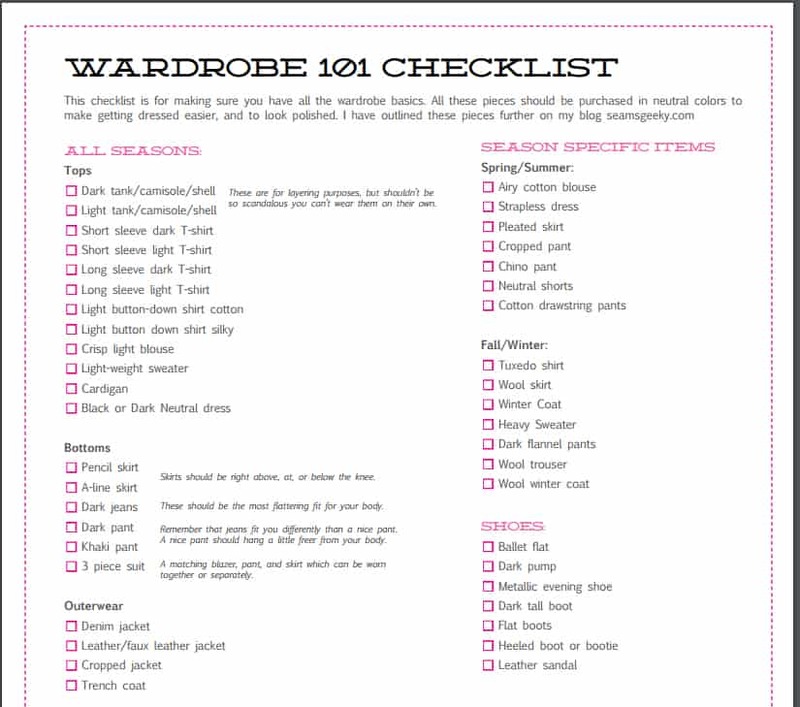 A well-written how to article on how to build a great wardrobe would easily get you to the top. Lists are everywhere on the web, and for good reason. 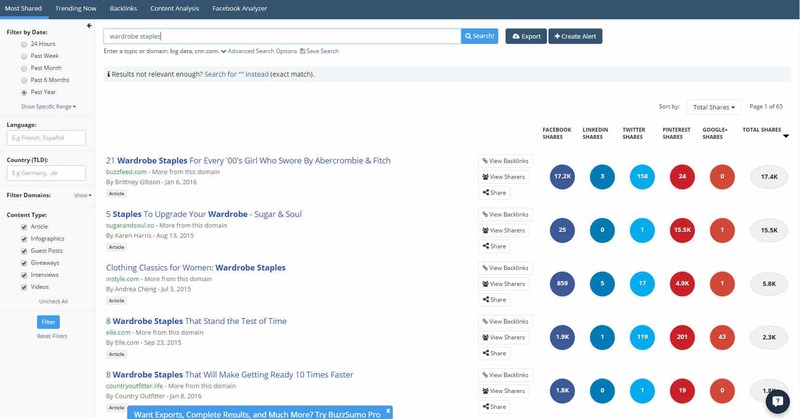 List-based articles, or listsicles, are the most shared content ever. And who doesn’t want shares? Of the five most shared articles, four of them are lists. A good list article usually has a number in the title. Research says 10 is the most popular, but in our example above that doesn’t seem to be the case. Personal stories provide an inside look into someone’s live to connect with others in a deep and meaningful way. If you can find a client who was touched or moved by your business who’s willing to write a short article about their experience, this is a great way to inspire others to reach out to you. These stories work well on sites like Medium. Don’t think you can apply this to your business? Quotes are one of my favorite types of content to create. Not only do they get tons of likes, shares and engagement, but they take less time to make than every other type of content on this list! Quotes work best visually, so be sure to use a program like Canva to create an eye-catching graphic. 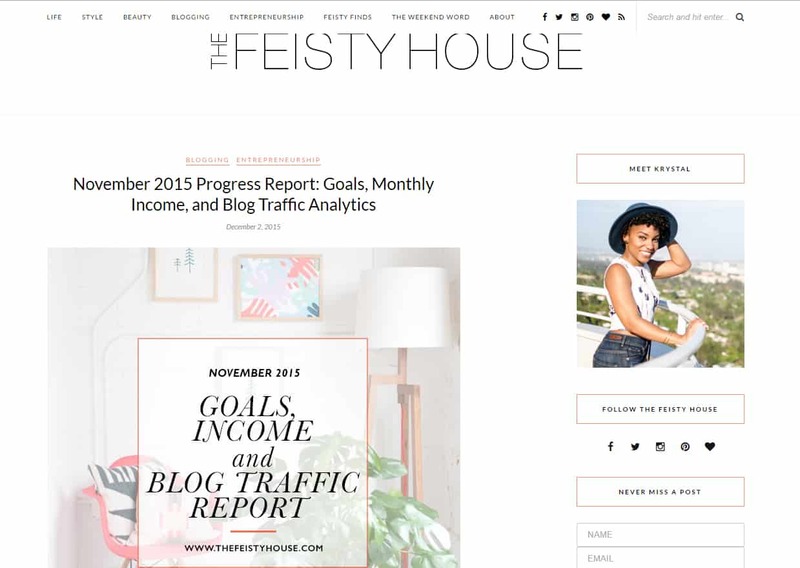 You can also collect quotes from interviews, other blog posts and Twitter. They work great for influencer marketing. Simply choose a celebrity in your industry and create a graphic with their Twitter picture. Contact them and give them a link to where you’ve included the quote, asking them to share with their followers. Be sure to include a link to your site in the quote as well. This does wonders for your site traffic numbers. Your most powerful marketing tool is your email list. But it’s not as easy to get people to hand over their email addresses as it used to be. Create an in-depth guide or a short checklist based on your idea to get people to hand over their information to you. The format is usually a downloadable PDF or ebook that you give away in exchange for a person’s email address. This is by-far the most time consuming and difficult piece of content to create. But considering every dollar spent on email marketing averages a $44.25 return on investment, it’s worth it. According to stock photo giant Shutterstock, data science is the largest design trend in the United States in 2016. Take advantage of that by using your own data gathered from your business to create original content based on interesting numbers. Using our example idea of wardrobe staples, we could use our own customer data on the ten best selling items of all time from our own store. If you’re new, you could easily track down some statistics on the best basic pieces of clothing that should be in your customer’s wardrobe. 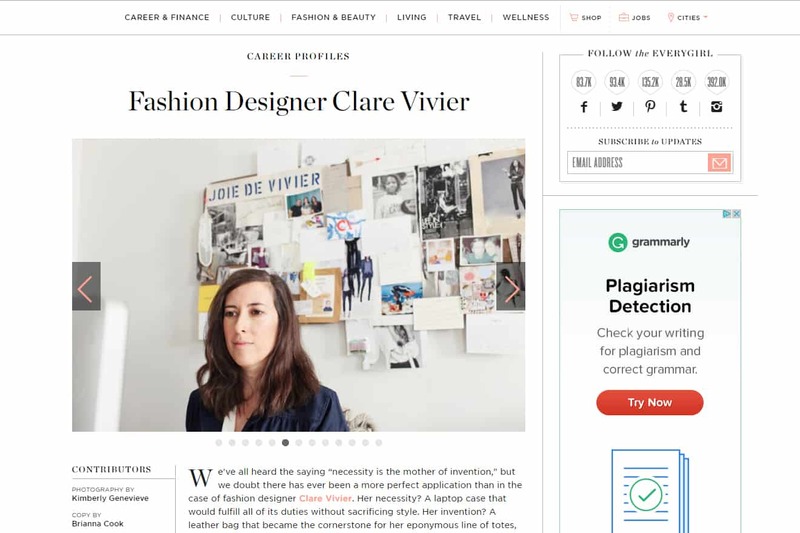 Interviews are an easy way to create exclusive content that will draw big crowds to your fashion blog, especially if you can score a chat with a popular designer. The greatest advantage of interviews is that you can create several pieces of social media content from one interview, and use it as a way to do influencer marketing. We’ve talked about quotes already and how they get great engagement. When you interview someone well-known, be sure to hashtag their name on Twitter. This will bring traffic from Twitter followers who follow or search for the hashtag. You can also turn the interview into a podcast by recording a live talk. This is a great way into influencer marketing, because you can then offer the recording of the interview as an incentive to get an industry leader to talk to you. And if they share it with their followers, you’ll most likely see a handsome increase in traffic, provided the audio quality is high and you ask questions they haven’t answered in other sessions. Because talking to someone in person is more intimidating for most people, especially if they’re a well-known celebrity, practice your interviewing skills on friends and family first. You’ll find that the more you do this, the easier it will be to come up with good questions that follow-up with the answers just given. In keeping with our wardrobe staples idea, you could interview a designer about the 10 pieces of clothing they think should be in every person’s closet and why. As an entrepreneur myself, I love to see companies grow, and learn about the things behind the scenes that they do on an ongoing basis to get better at their biz. Providing a monthly progress or income report develops a strong rapport with potential customers. Progress reports show the human side of your company, and make you more likeable and trustworthy. Be sure to be honest about your mistakes as well as your successes, or you won’t gain much credibility. And even our example idea can be turned into a progress report! Follow one of your customers that is building or rebuilding a wardrobe and the foundation pieces they are using to do it. Depending on your customer, news related to your industry may or may not perform well. But if choose to use this form of content, be sure to not post too much about new products or services from your own company or your blog will turn into a sales pitch and no one will read it. How could a wardrobe staple be applied to news? This is definitely a tough one! A seasonal piece on the hot new wardrobe staples for the upcoming fashion season would work nicely. One of my favorite types of posts is the roundup. It’s similar to a list, but it basically uses other people’s content to create your own. 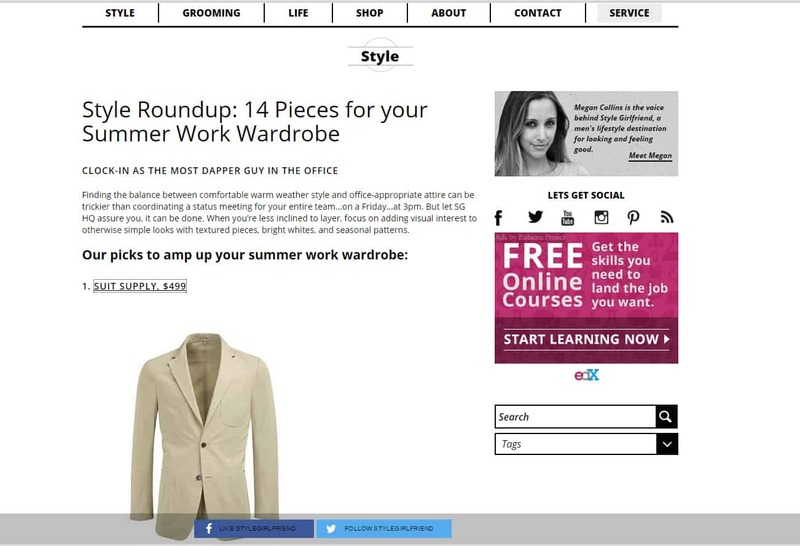 To create a roundup post, keep a list of what you’re reading, and post a summary of each post with a link. 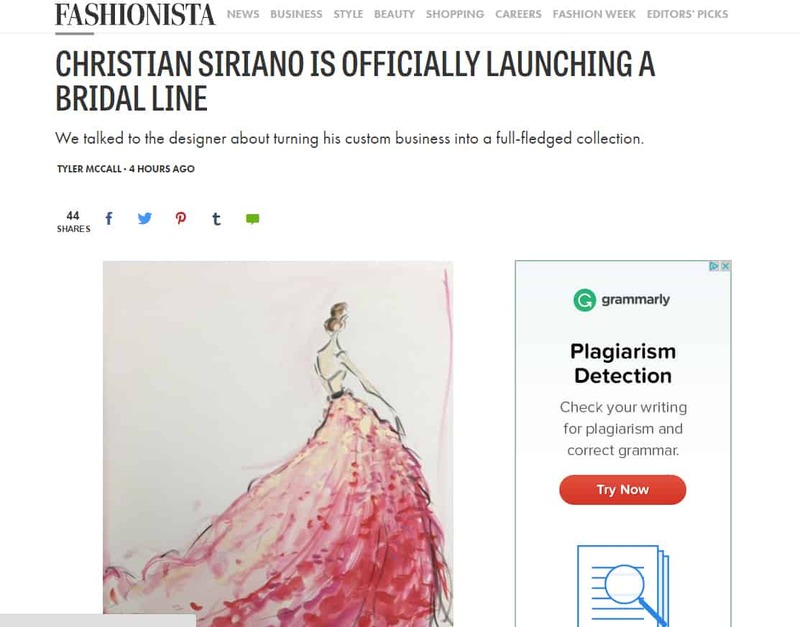 Some bloggers choose to stick to a one-sentence summary and copy a paragraph from each post in block quote format so readers can tell that it isn’t your own writing and you’re not stealing from the original author. The biggest advantage is that if you’re a one-woman operation like me, you can quickly create a post without having to come up with your own good ideas. Following along our journey to turn wardrobe staples into our next piece of content, a list of posts from the blogs of major brands about their ideas of the best foundation pieces for your wardrobe is one possibility. Video content performs very well. But to get a leg up on the competition, you want to take your time, do it right, and maybe even throw a couple of extra dollars into it. This means that you probably don’t want to use your built-in webcam or cell phone to shoot video, though both the iPhone and Samsung Galaxy have great potential. Invest (or rent) professional equipment. If you do choose to use your cell phone to create videos for your audience, make sure you use a high-quality microphone. The drawback to video is that professional video creation can be very expensive. A 30-second video could easily cost close to $10,000. This is why many smaller companies steer away from creating video content. A cheaper way to go is to run a contest and let your audience or customers submit user-generated videos. Give away free products and post the winners on your website and social media. Another DIY video project that won’t cost you as much is to create a slideshow of still images and purchase audio clips from a reputable online company like Shutterstock or Audio Hive. We did it! There you have it: one idea, ten (or more) pieces of content. Follow these guidelines for your own big idea, and you’re well on your way to creating the content that will bring customers to your site. Do you have a favorite type of content? Tell us about it in the comments; we’d love to hear from you!